Zapier and Airtable work particularly well together for both integrating with other apps, and also automating processes within Airtable. However, there is a type of Zap, called a Push Zap with which many may be unfamiliar. 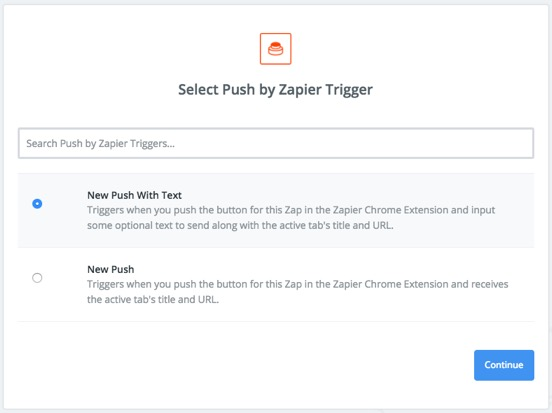 Push Zaps require a browser 'extension' which is currently only available for Google Chrome but they provide the means of push button automation within your bases. I'm going to base this example on my KasPer Lite base which is available from the Airtable Universe. This is an HR Base which covers a lot of the features found in HR applications (Absence Management, Training, Appraisals, etc.) - but available for you to customise for yourself in Airtable. One of the tables in the base is an Activities table which holds a historical record of activities relating to an employee with Types you can define as a Single Select field. It could be used to record emails sent (which is how we're going to use it in this example) or for disciplinary actions, etc. One of the requests that managers / HR staff get all the time is confirmation of how many days holiday (vacation) they have remaining in the current leave year. 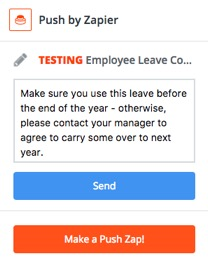 What we're going to implement here is a zap which can be triggered at any time by the user which will send an email to the employee with this information and also update the employee's activity history with a copy of the email sent. 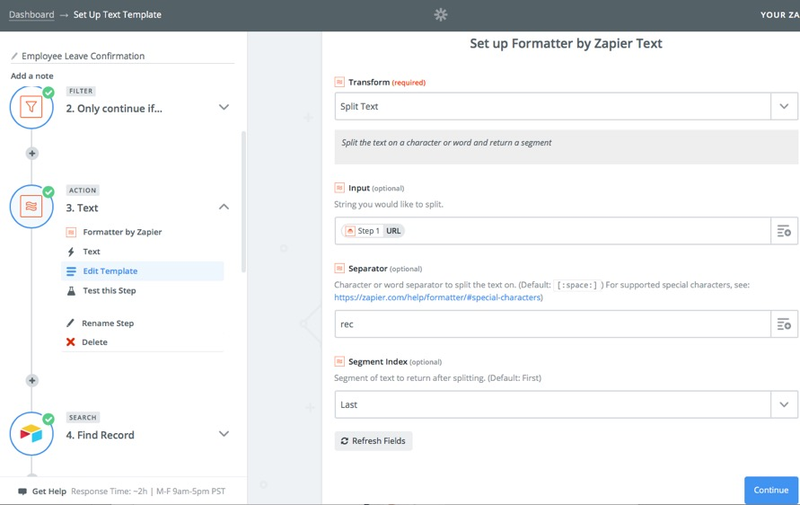 Firstly, I should point out that you will need a paid Zapier account in order to be able to implement this (because the Zap has more than 2 steps). This step is needed because it would be possible for a user to click this option whatever web page they are on - and we want to limit it to when the Employee table in our KasPer Lite base is open with an employee record Expanded. Here, we are testing the values from the previous step (the URL of the page we were displaying). The first test looks for the ID of the table and is preceded with 'tbl'. If you look at your own base then you should be able to find the value you need. 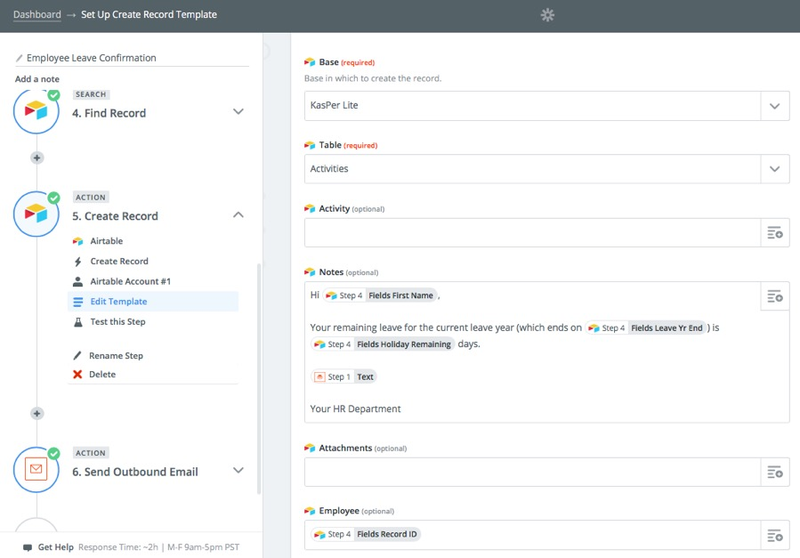 If you had the employee in expanded view, then you should also have the employee record id shown at the end of the URL - this is always preceded with 'rec'. The combination of these should be enough to be certain that you are on the correct table with a record in expanded view. Note that we are searching here based on a field on the employee record called RecordID and that we had to precede the ID gained from step 3 with 'rec' as the actual ID has this value at the start. This is a Formula field which holds the ID of the employee record. Often, when using Zapier with Airtable, you will find it useful to add such a field so that a specific record can be found using the ID. So now we have all the information we need to update the employee activity and send the email. 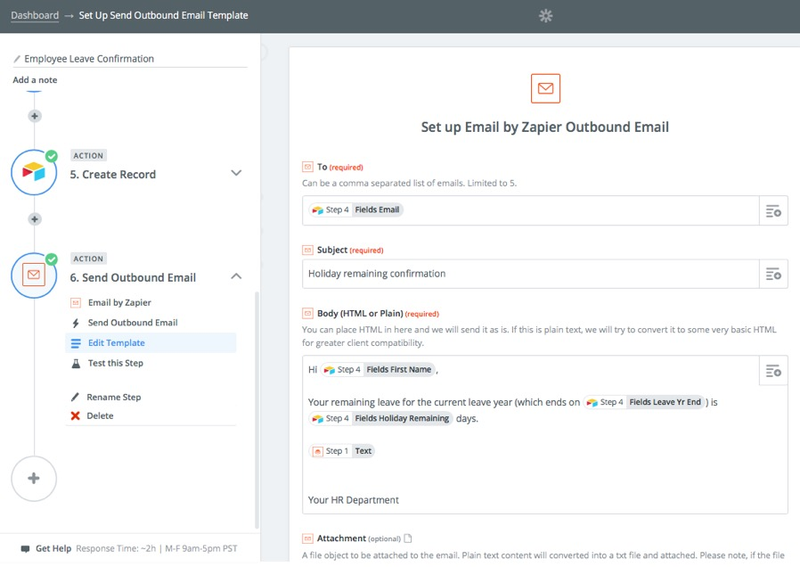 This is just one example of how you could use Zapier's Push Zaps feature to help automate Airtable. I hope you've found this article useful and please feel free to make any comments or suggestions!